Titled: Magador (Essaouira is a city in the western Moroccan economic region of Marrakech-Tensift-Al Haouz, on the Atlantic coast. Since the 16th century, the city has also been known by its Portuguese name of Mogador or Mogadore). 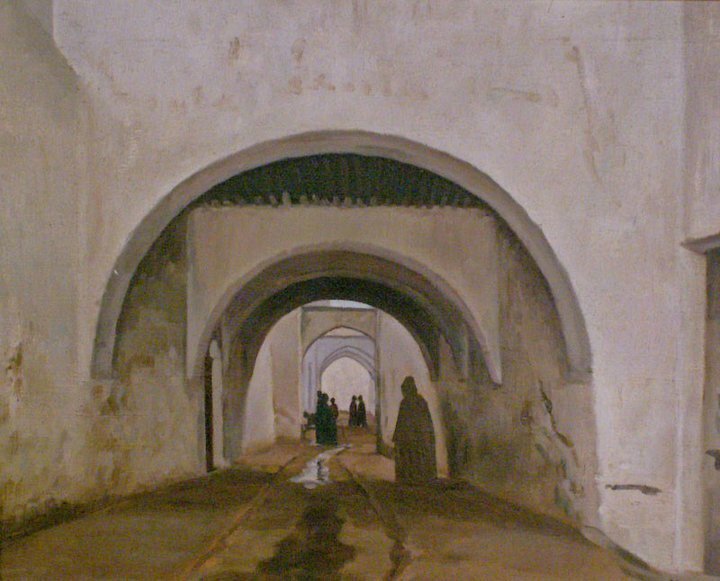 Assouaou Masseri is the modern master in painting from Algiers. Simplicity and truth are his formula. His portraits are a calm reflection of a deep psychological study of the sitter guided by the artist’s desire to paint. Mammeri taught in Great Kabylia during and 1910, then in Gouraya in 1913.He went on to be a professor of ornamental design in Rabat and Fez, then he beame a regional inspecyor of Indigenous Arts in Rabat. 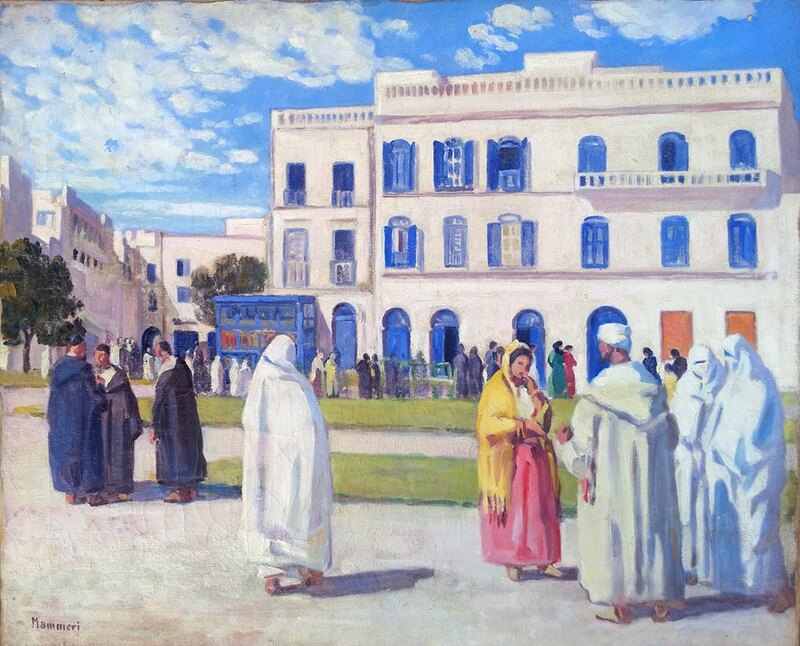 In 1929 he was appointed as an Inspector of Arts in Marrakech where he remained until his retirement in 1948. As an artist at heart and in hand, he created the school of Andalusian music and song writing for Berbers whose orchestras are still performing regularly on Radio Morocco. His passion for the Berber folklore led him to work as a technical adviser to the film documentary, “Dancing Berbers”. In 1950 he wrote a book called, “How I came to painting?” where he discusses his difficult beginnings and how he overcame obstacles with a fierce determination to succeed while not forgetting to thank everyone who contributed to his dreams in order to fulfill his goal in writing his book, a valuable document which should be preserved along with all his paintings. His son still remembers the words of Omar Racim, who was accompanied by his wife at the exhibition organized by the UNAP in 1966 by the Sheperd Gallery, ” The last time I saw Mammeri was when he was given exposure in 1952 at the Gallery Ex-Boseo in Algiers. I keep it as a memory of Assouaou as one of our greatest teachers who played his part with a first class on the International stage.